Despite what manufacturers may think, the majority of drivers have little to no idea what their dash lights are trying to tell them. This leads to small problems turning into large and expensive ones. 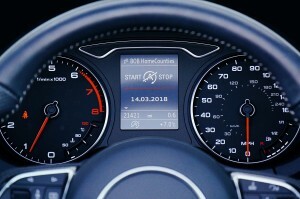 Even if you don’t know a lot about cars or the mechanics inside them, your dash lights can give you a pretty good idea as to what is happening under the hood and help you prevent a small problem becoming something which can ultimately end up costing you a lot of money and a lot of time at the mechanic. Bill Rigdon knows just how important it is to keep your car in good shape and that catching small problems when they start can prevent large problems from occurring, and has prepared the following post which will help you decipher some of the most common dash lights. If you can see this light up on your dash then your battery needs your attention. And while you may not think it’s important, the truth is that if your battery stops working, your car won’t start the next time you need it. This could leave you stuck either in a car park or at home, waiting for help to arrive. If you see this light come on, the chances are that it isn’t something drastic. The most likely reason you are seeing this light is that one of the cables or the connectors has come loose. The next time you stop, open the hood and check the connection of your battery. If you can see that one has come loose, safely reconnect it. While you’re there, take the time to check the condition of your battery. If you can see it is leaking or any build up, then best to clean or replace it as soon as you can. You read that right. And the chances are that you see this each time that you switch on your vehicle. This is the light which represents your airbag and the system which operates it. If this light comes on as you start your car, stays on for a couple of seconds, and then switches off, then it’s just lighting up to tell you that your airbag system is starting up and getting things ready. If it stays on, however, then it’s cause for concern as it can represent a fault with your airbag. This can cause two major problems. The first is that your airbags won’t deploy on the event of a collision. The second is that they will deploy while you are driving and without being triggered. Your auto-electrician is the best person to see to help you take care of this. Click here to buy Signature Series 0W-20 Synthetic Motor Oil to keep your engine running at its best, for longer, with a synthetic oil change in Portland, OR. To learn more about this product of the benefits of a synthetic oil change in Portland, OR, speak with a friendly expert at Bill Rigdon by calling (503) 329-9004 or check out the online store. If you have ever seen motorists pulled over on the side of the road with steam pouring from their engine, then this is the light they should have been paying attention to. This is the light which tells you that your engine is getting too hot and that it’s time to act. It often means that your car has either run out of coolant or the coolant in there isn’t able to keep your engine cool enough as you drive. The best thing to do when you see this light is to safely pull over and wait it out. If you can, safely lift the hood of your car to allow excess steam to come out. Once it’s cooled down, you can refill your radiator with water and coolant. If this happens to you, it’s important that you don’t refill your radiator while it’s still hot. If you do, the cold liquid can cause your radiator to crack and leave you in a much worse position which includes the need for a replacement radiator. If your vehicle has an anti-lock braking system (ABS), then this is the light which tells you that something isn’t right. ABS prevents your wheels from locking if you press your foot on the brake pedal too hard, helping to stop you from skidding and, instead, come to a safe and complete stop. Just like your airbag light, this one will come on when you first start up your engine to tell you that it’s getting everything ready. However, and just like your airbag light, if this light stays on after you drive or comes on as you are driving, then you need to check a few things out. The most common cause for this light is that you have run out of brake fluid or your brake pads need to be replaced. Each of these can be checked by yourself either by visually inspecting your brake pads or by lifting the hood and checking the brake fluid level. Giving your vehicle a synthetic oil change is a quick and easy way to not only boost the performance of vehicle but also minimize engine damage and wear, helping to extend its lifespan. For more information or to get help finding the right product for your engine needs, speak with Bill Rigdon today by calling (503) 329-9004.